Almost no text today as Cristina is staying for a few days and we are trying to felt together but here are the first two photos as promised of my current ArtL!nks work. 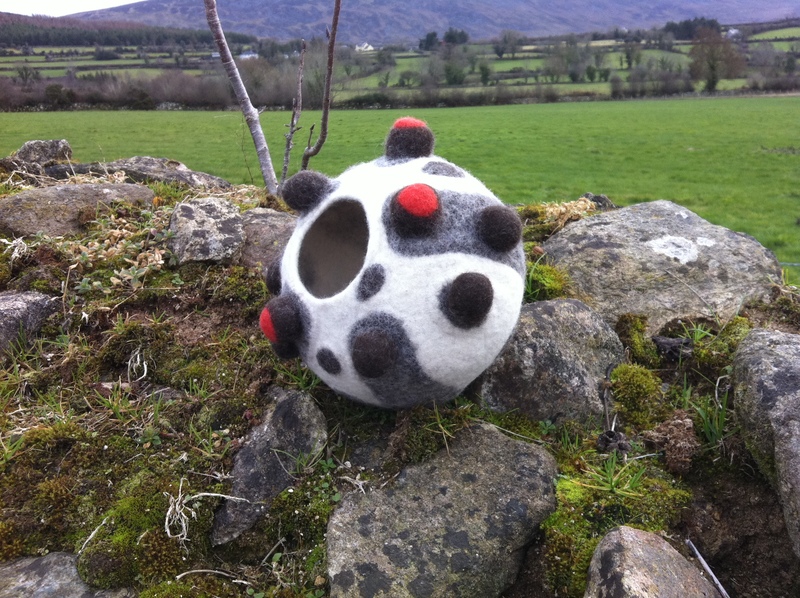 This entry was posted in Felt and tagged ArtL!nks, Artlinks, Felt, felt vessel, resist, vessel by Nicola. Bookmark the permalink. 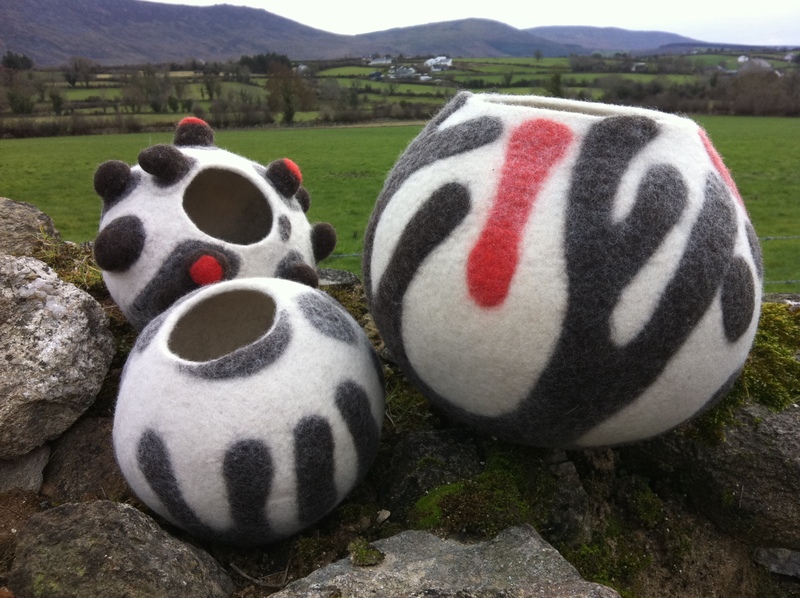 Your vessels are beautiful Nicola! They look marvelous and I especially love the bumps. so dramatic; I love them! Beautiful vessel work and wonderful texture. Love the knobs/bumps. Hope to meet you in the USA in 2011. Beautiful work! You did it again…and again…and again. Wow. Really stunning. Happy New Year to Nicola and all her followers. truly beautiful and exquisite work! What a nice, smooth surface texture. Do you steam them after they are felted? The vessel in the center is my favorite even though the other two are strikingly beautiful — the black and white supports the graphic design and this makes me want to felt again. What are the dimensions of these lovely creations? Superb work, Nicola!!! Great pieces. Love the pattern and the smooth shape. It’s wonderful to share how you made it on flickr. Thanks.